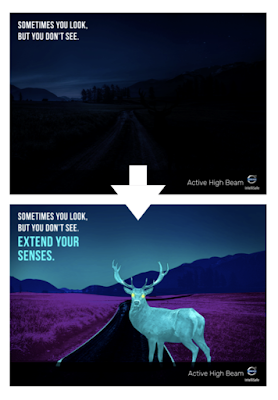 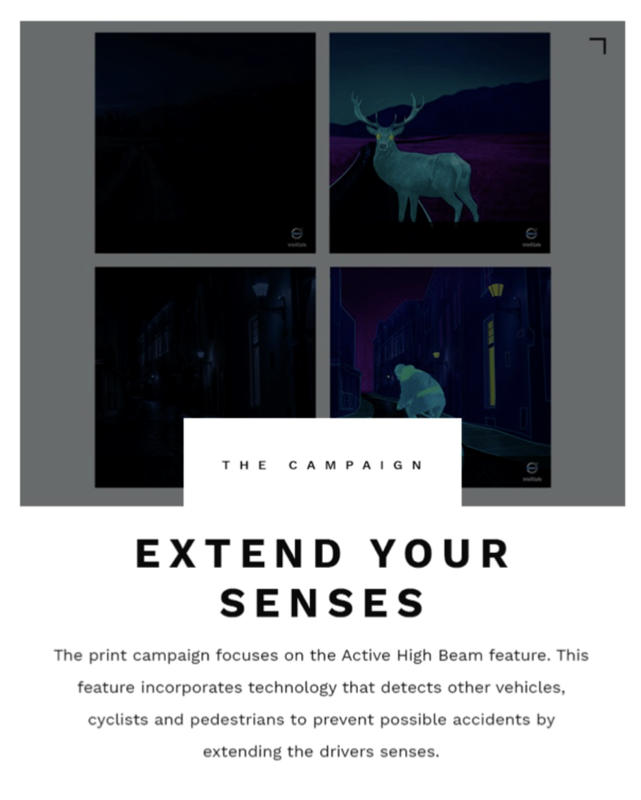 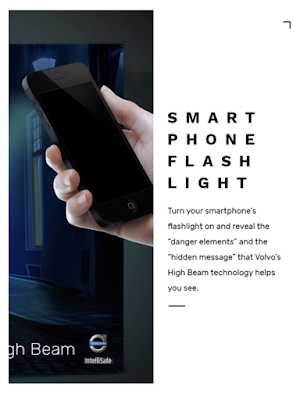 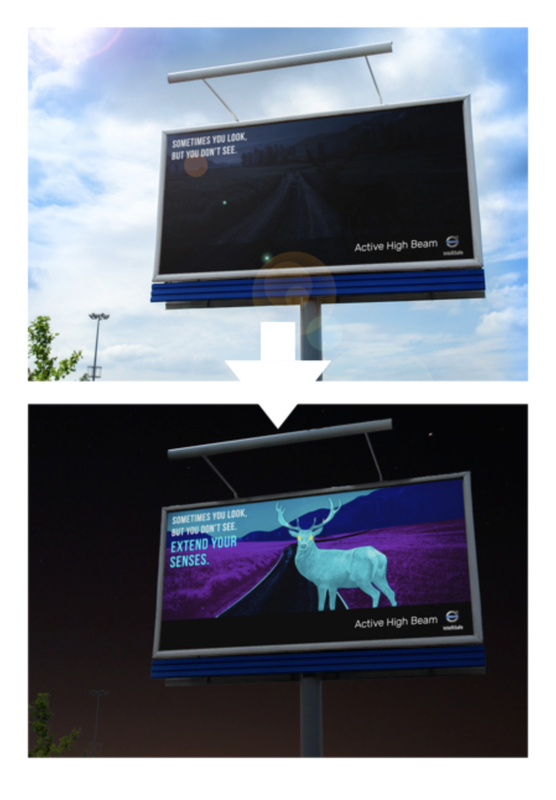 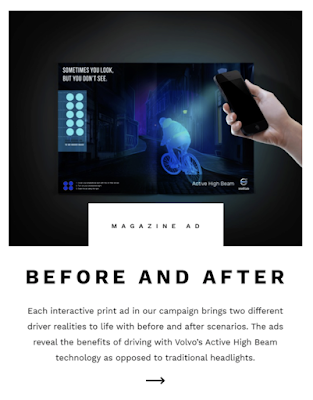 Volvo "High Beam" lights is the new feature that all the brands latest cars come equipped with. 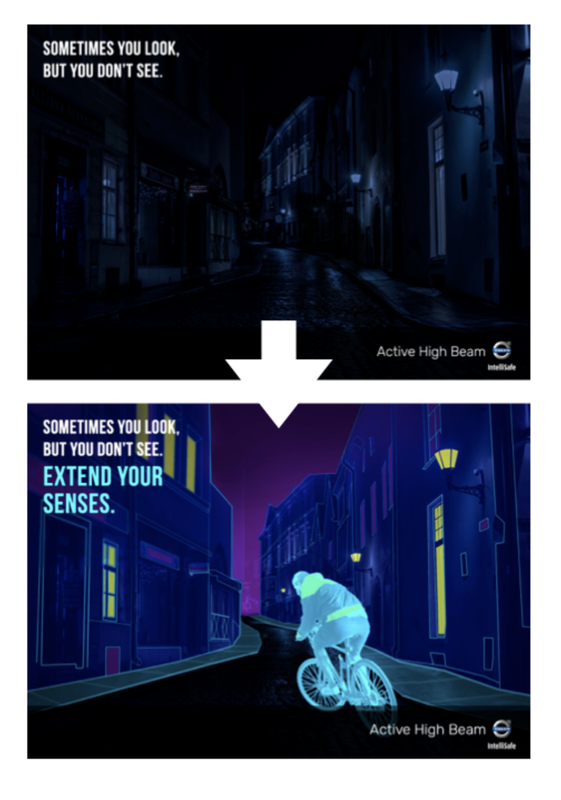 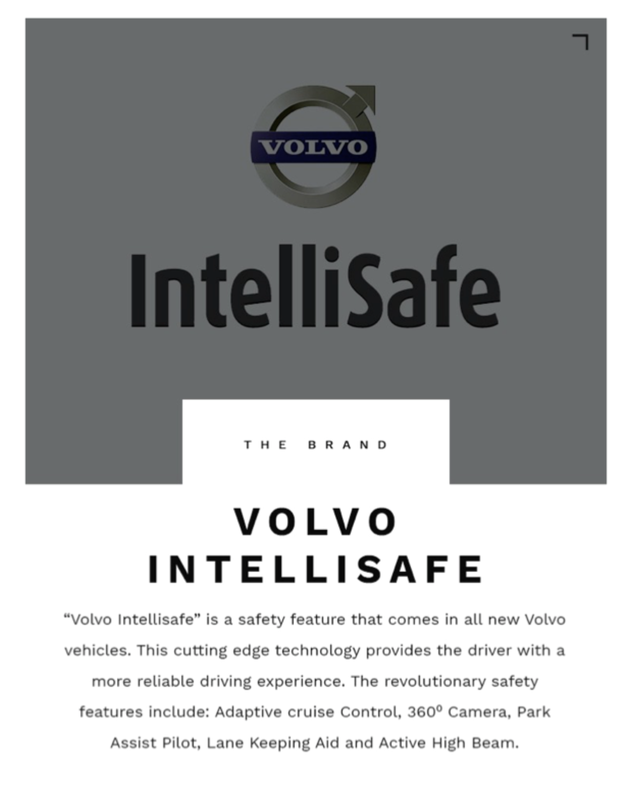 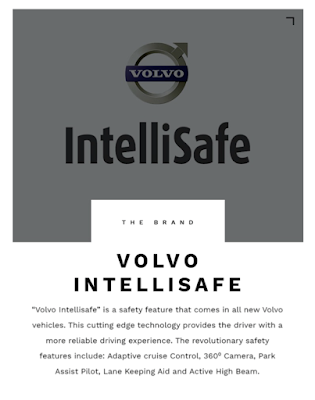 This powerful new technology allows the driver to see the road better, further and in more detail compared to the regular car lights. 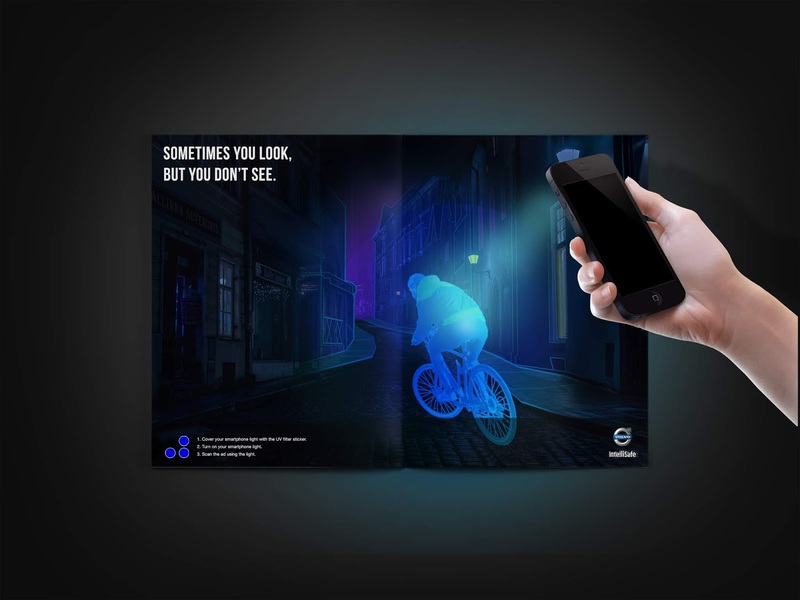 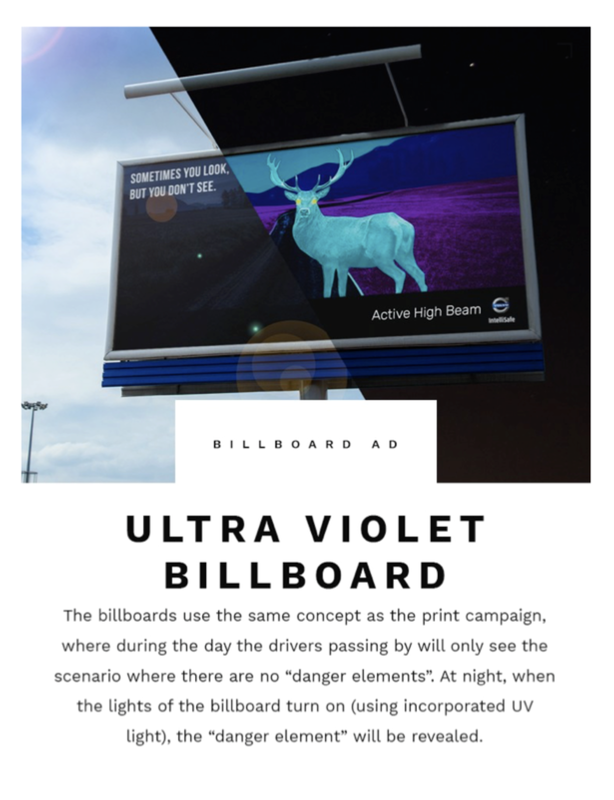 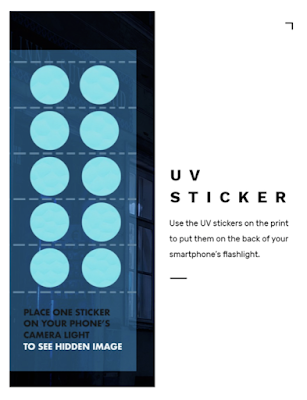 This interactive print combines Ultraviolet technology and a smartphone to present the feature.